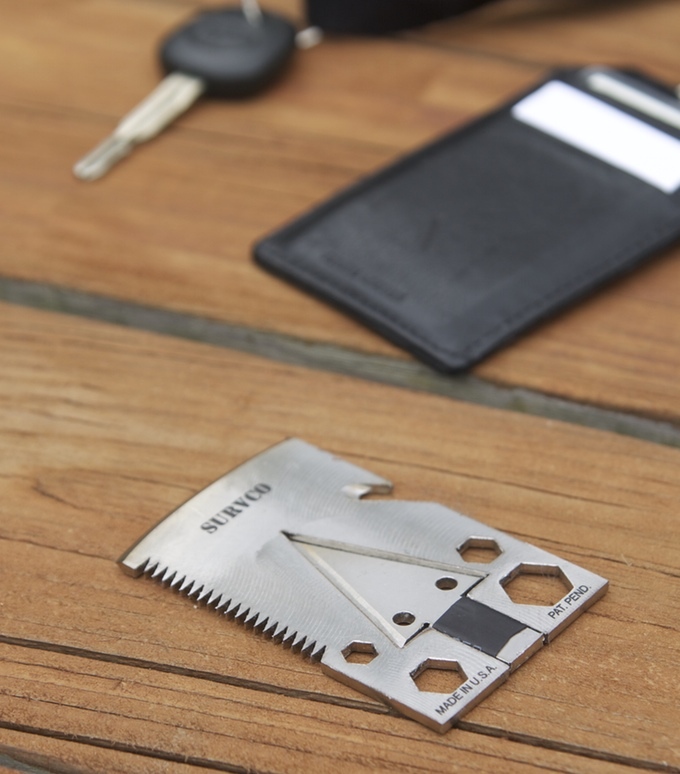 Alright MacGyver, time to streamline that chunky Swiss army knife multitool – you get one slim pocket tool the size of a credit card, that’s it – which one is it gonna be? Well, luckily you’ve got a lot to choose from. It seems everyday there’s a new one either being pushed on Kickstarter or already for sale on some website. 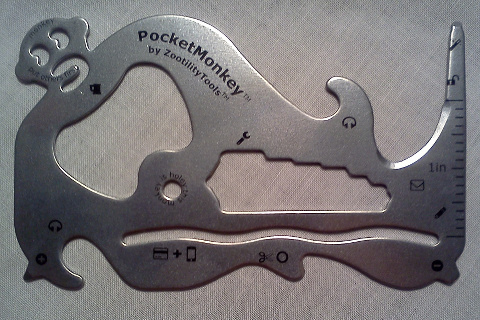 It’s as if everyday carry (EDC) pocket multi-tools are the mouse traps of the Kickstarter era. Well, here are six of them in no particular order, selected for their utility and number of functions, size and slimness, and materials used to make them. Rules are that they must be the size and general shape of a single credit card, have various functions, and come in or be assembled as one piece. 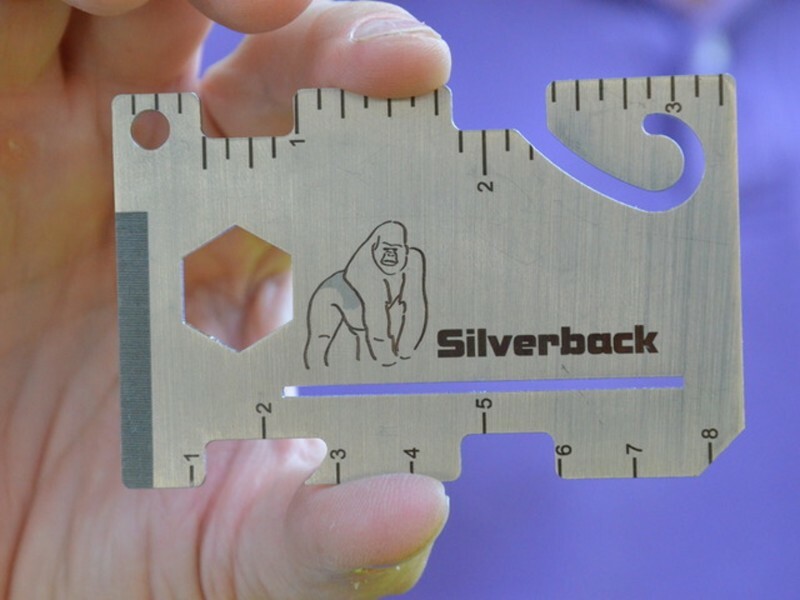 The Silverback wallet multi-tool which can also double as a minimal wallet began its life as a Kickstarter campaign, as you’ll find some of the others below likewise did. It’s currently marketed as a 12-function wallet tool, although of course, with any of these pocket tools, your imagination is really the limit to how they can be used. Made of 13 guage stainless steel, the inventors claim that they designed it to last a lifetime and not warp from use. 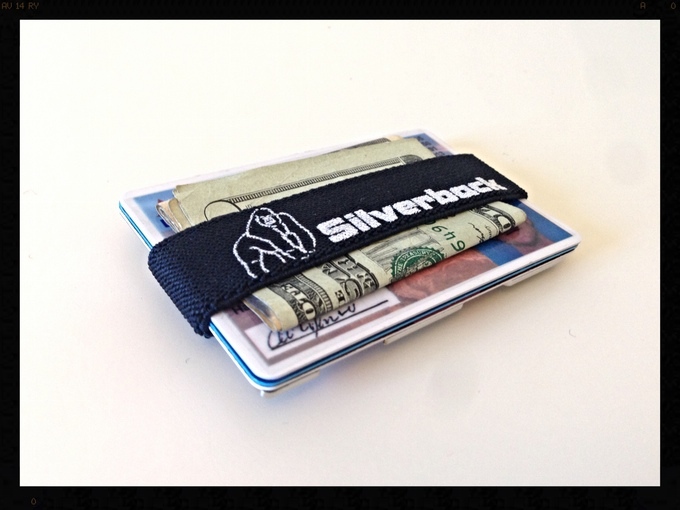 Not only is it the size of a credit card that you can slide into your wallet, the tool itself can function as a minimal wallet with the accompanying strap that will keep your cash and plastic strapped to the Silverback. The following list details its 12 functions, plus one extra we’ve thrown in that we’ve pulled out of our asses, just to show off how creative we are. 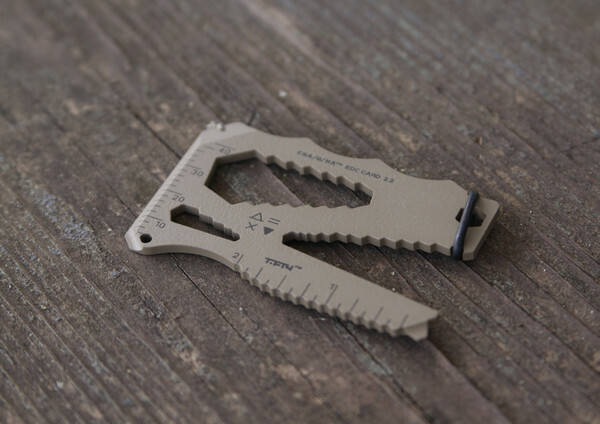 Our next credit card pocket tool, the EDC Multi-Tool Card, was a Kickstarter Staff Pick in its day. BOOYAH! Constructed of military-grade S35VN stainless blade steel (which can be upgraded with a weapons-grade ceramic coating), the tool boasts some 32 functions! Yes, 23 of those are open and closed hex wrenches of different sizes, but still. Here’s the full list, plus our addition. [1-12] closed hex drivers: 2.5mm, 3.2mm, 4mm, 5mm, 1/4″, 8mm, 10mm, 7/16″, 13mm, 9/16″, 16mm, 11/16″; [13-23] open hex drivers: 3/16″, 5.5mm, 1/4″, 8mm, 10mm, 7/16″, 13mm, 9/16″, 16mm, 11/16″, 19mm;  an additional 1/4″ closed hex driver with optional o-ring retention which is designed to hold any 1/4″ screw or drill bit shank, opening the door to all kinds of further repair jobs;  5 x 0.8mm flathead screwdriver;  #2 phillips screwdriver;  bottle opener;  lanyard hole;  prybar with nail-lifting slot;  tapered straight edge;  2″ imperial ruler;  30mm metric ruler; [+bonus+] T-Rex head stencil! 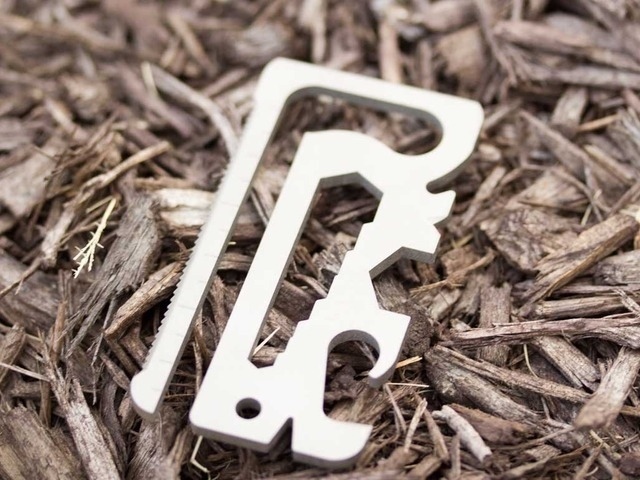 With the PocketMonkey, you get yet another Kickstarter-funded product with around 17 functions (counting all hex wrenches) made of fire-hardened stainless steel and weighing in at just 1 oz. It is one of the slimmest and lightest card tools on our list, to be sure, and one of the cuuutest. See the following list for the functions, with our contribution thrown in at the end. If the previous EDC credit card multi-tools have seemed a little tame to you or struck you as things a sissy might carry, then the next tool is the one for you, especially if you’re looking to hack a home out of the forest or kill a zombie or wild animal. The Survco Tactical Credit Card Ax (yes, “Ax”) is ready to help you survive with a stated 21 functions and a 12 gauge 304 stainless steel body. While it was also a former Kickstarter campaign, it was unsuccessful at securing funding (sissy Kickstarters). 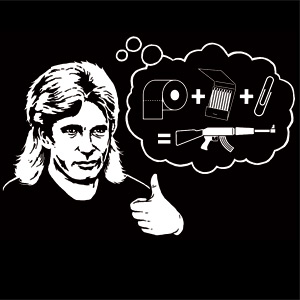 No matter, the Survco Tactical Credit Card Ax is being produced and sold today on numerous sites, including Etsy and Amazon.com, and believe us and the inventor when we say there is nothing quite like it, especially where it comes to arming yourself for whatever purpose. 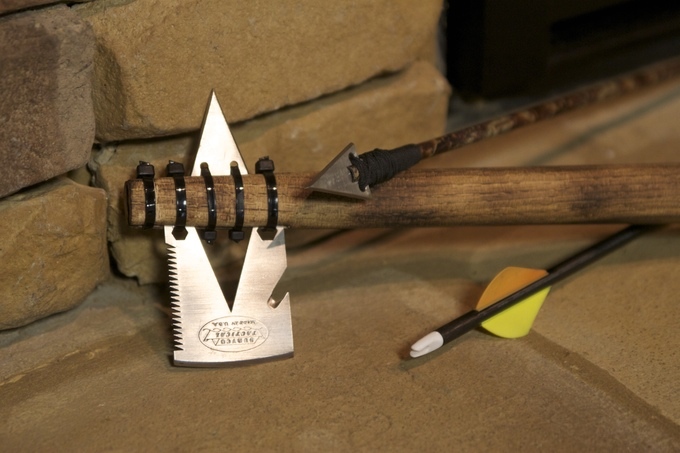 Hey, as the inventor wrote on the Kickstarter page, “Trust me, no one will go after stealing your stuff while you are wielding a tomahawk.” Uhhh, we trust you. All functions are listed below, plus our one. 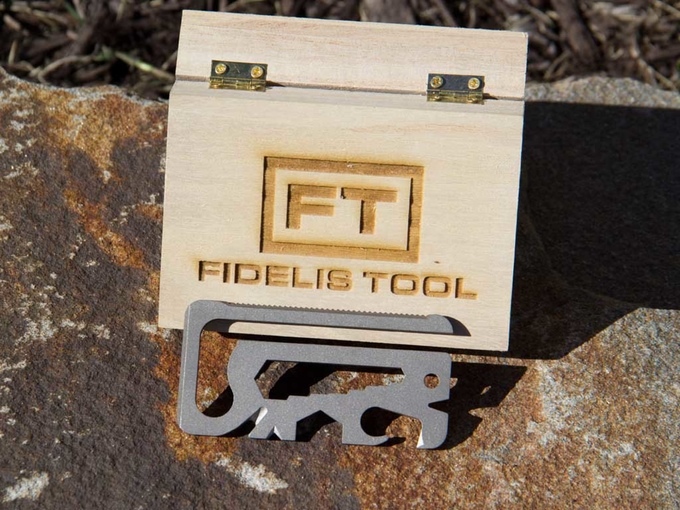 Back to the slightly more mundane, though still very appealing, clever, and functional, we have the Fidelis Tool, the only available-in-titanium EDC credit card multi-tool on our list. Yet again, it was hatched on Kickstarter (we told you, mouse traps of the Kickstarter generation) and sports 20 functions, counting all the hex wrenches. Here’s the list with our addition. scraper;  belt loop hanger;  bottle opener;  belt or string cutter;  wire strippers;  open hex driver 3/5″; [7-15] closed hex drivers: 1/2″, 7/16″, 0.39″, 3/8″, 5/16″, 1/4″, 6/25″, 1/5″, 3/5″;  can/bottle opener;  nail puller;  keychain hole;  ruler;  saw; [+bonus+] an iguana stencil! And that brings us to the final offering on our list, the Baladéo Credit Card Survival Tool which…wait for it, wait for it…we don’t think was at any time a Kickstarter project! Holy s@#$! 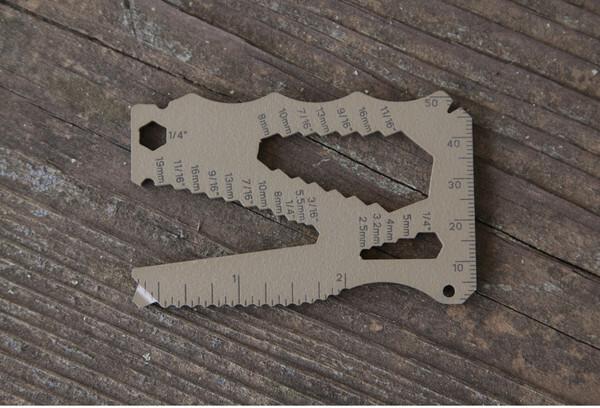 It is still a functional, stainless steel pocket tool with its own unique offering – a sun dial. That’s pretty sweet. Here’s the complete list of 15 functions (counting all hex wrenches) with our +1. 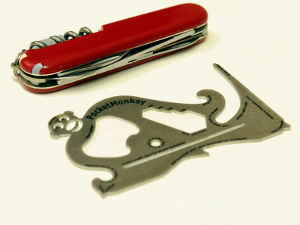 can opener;  blade;  flathead screwdriver;  ruler;  bottle opener;  saw;  sun dial;  butterfly wrench;  keychain hole; [10-15] closed hex drivers: (exact sizes unknown, but there are six); [+bonus+] with a thumbtack or other sharp-pointed object stuck in the keyring hole, you should be able to use it like a compass to draw a circle, think we. NOW QUIT GAWKING AND GRAB A TOOL! There’s a bomb to diffuse, buddy.